An important list of questions to ask about AIT. What is the biggest contribution you think AIT will help make for a matched participant? Our Answer: Improved ability to tolerate auditory overstimulation and a subsequent calming effect on the nervous system. Are you professionally trained and certified to practice the Berard method of AIT? Our Answer: Yes, we are trained and certified to provide the Berard method of AIT. We use the newest computer based system for providing AIT that allows the AIT At Home option. This means that the required music files for the client are on a mobile MP3 player, with high quality headphones provided as well as detailed instructions and our supervision by email. This allows you to complete AIT conveniently at home, for significantly less expense that in a Practitioner's office. What professional credentials and experience do you have? Our Answer: Your AIT At Home is supervised by a certified AIT Practitioner with many years of success and experience working with families of children with Autism Spectrum Diagnosis. We are alsothe founders of the AIT-PRO group. Since 2004 we moderate this professional forum which has 300+ AIT Practitioners globally as members. We provide ongoing practitioner information, resources and share research to the AIT-PRO group members. Do you have professional training in any other type(s) of therapies or intervention(s)? Our Answer: Yes! In addition to being certified AIT Practitioner, we have certifications in Homeoprophylaxis (Homeopathic Immunizations) and CEASE Therapy. We also provide homeopathy and are HTMA Practitioners for Hair Tissue Mineral Analysis and mineral rebalancing with nutrient therapies. What is the total fee charged for all AIT sessions? Our Answer: The fee is $699 and includes the equipment required to complete all 20 sessions of AIT, 30 minutes each, done twice daily over over 10 or 12 consecutive days. Our equipment is loaned for 14 days of use and does not have to be purchases. For a family doing AIT for more than one person in the same household, at the same time, the fee is discounted for the second or more person. Contact us for free access to the AIT Checklist to get started! We did the AIT Checklist and the score was "moderate" - should we still do AIT? Our Answer: Yes. When the AIT checklist indicates the need for AIT, then AIT should be considered. Those with high scores should definitely consider AIT as a helpful listening therapy for hyperacute hearing. Any score above a 10 on the AIT Checklist can benefit from AIT in terms of rebalancing the auditory system in relationship to auditory stimulation. Is audio testing required for a participant? Our Answer: Audio testing is NOT required for children or adults with autism, those under the age or 7 or anyone who can not reliably comply. Audio testing is provided on-line at no charge for qualified clients. Who does audio testing for AIT? What steps will be required prior to beginning AIT? Our Answer: All clients will be required to first complete the AIT Checklist, then to do the free online listening test IF the client can reliably comply. Once this is done you will be sent a contract for services as well as treatment instructions and AIT At Home Guidelines. The contract and a payment in full for the AIT services must be received before we ship you the AIT system. Clients outside the USA and Canada are charged an equipment deposit that is refunded when the AIT system is received back in good working condition. What equipment will you be using for AIT? Our Answer: We use the newest system for AIT and very high quality headphones to deliver the listening therapy to the client for optimal results. The equipment you will be send to does not have to be purchased. It is borrowed from us for a period of up to 14 days to complete AIT At Home. 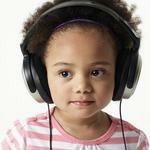 What is the highest intensity level of decibels that a child is exposed to during the AIT sessions? Our Answer: The highest decibel level is limited to less than 80 db. This is the safe level for hearing and the AIT equipment is designed so that the sound level may NOT exceed this during any AIT session. What are there specific guidelines a participant will need to follow when doing At Home AIT? Our Answer: You will be following the guidelines as provided with your AIT system, and provided here at AIT Treatment Guidelines. 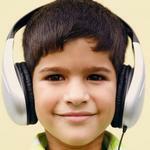 How should I get my child ready to do the AIT sessions, especially if they are not used to headphones? Our Answer: Please review this link about how to prepare a child for AIT. Please also read more about how to help a child to cooperate during the AIT sessions. Read these helpful tips for children and AIT from parents. How long do results take after AIT? Our Answer: This of course varies by client. Some people have marked results by the 14 day of AIT, others a few weeks or months later. Please read the many success stories by families who have benefitted from AIT. Most clients have results and gains that are subtle but evident at the completion of AIT Sessions. These improvements very often continue out for four (4) to six (6) months post AIT, as the brain readjusts to the many changes that evolve from the auditory system being reorganized. What are the precautions recommended during and after Berard AIT? Our Answer: Please read about the medical precautions, the headphone precautions and the noise exposure precautions after AIT. Are there known periods of adjustment during and/or after AIT? Our Answer: Yes. There can be shifts that occur about mid point, around day #5 of the AIT as well as after the 2 weeks AIT, the first month and during the 4-6 months that follow. This is because the brain is doing significant reorganization work and the auditory system is adjusting as well as the organs that are stimulated by sound through the vagus nerve. Read about the possible adjustment or regression period during/after AIT, which is a sign that there has been a significant impact of AIT. This will typically resolve over time.